Kevin joined Cohn Financial Group in 2016 and serves as a Client Service Analyst. He previously worked as a Senior Associate for Case Design at a financial services company based in Phoenix and as a Case Design Specialist at an insurance brokerage firm in Scottsdale. Though he helped develop a number of life insurance plans specifically for estate planning, retirement income, and asset protection for esteemed clients across the United States, he’s discovered a passion for watching those plans unfold and evolve over time. His case design background is particularly helpful when options are limited and creative solutions are required. Kevin particularly enjoys the variety and scope of his work at CFG. His current role gives him the opportunity to research and analyze existing portfolios, administer advanced insurance plans, and stay up-to-date on investment strategies, hedge fund options, and industry trends. Since he arrived with solid life insurance experience, Kevin was surprised and delighted to realize “sophisticated” doesn’t begin to cover the complexity handled by CFG’s Client Service team. He welcomes opportunities to track down a difficult answer, model a new approach, and build ongoing relationships with clients and advisors. Kevin graduated from University of Arizona in 2013 with a Bachelors of Arts in Political Science and a minor in Finance. 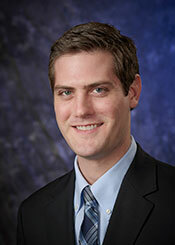 Kevin currently holds his AZ life insurance license and is pursuing his FINRA Series 7 and 66. As an Arizona native, Kevin loves cheering on the Arizona Cardinals, being outdoors, golfing, and spending time with family and friends.